Your information will "never" be shared or sold to a 3rd party. In an attempt to promote the state tourism on an international level, the Odisha government’s latest tourism campaign focuses on the Hockey World Cup while targeting its international fanbase. As the eastern Indian state, Odisha prepares to host the Fédération Internationale de Hockey’s premier international event, the state government is leaving no stone unturned as international hockey’s grandest stage is all set up for the game that will start from November 28 and will continue till December 16. 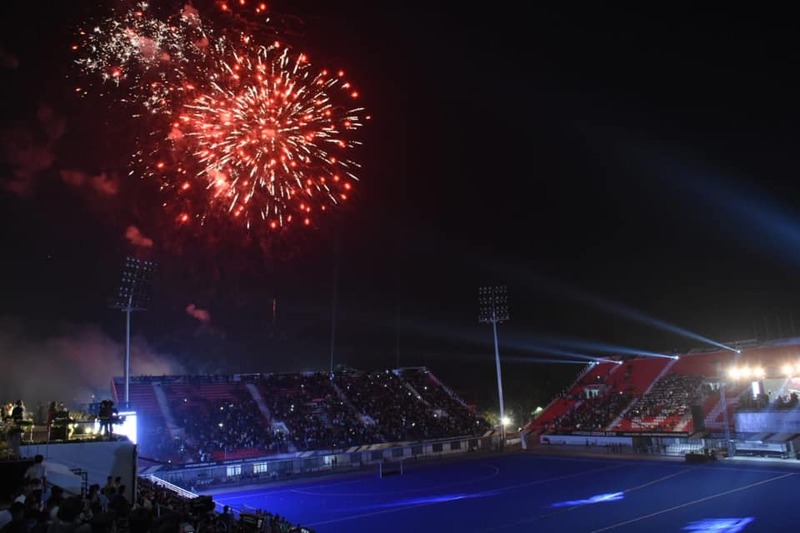 In an endeavour to entice foreign tourists to India, the state government has set up the high octane promotional campaign called, “Odisha by Day and Hockey by Night”. The campaign is supposed to promote the Hockey World Cup in different cities around the globe. Odisha Tourism is also trying to achieve two major objectives via the campaign. The first is to promote the tournament but more importantly, the department seeks to popularise itself in and outside the country. The event has already promoted itself in London along with Canberra, Sydney and other Australian cities as well as having made a mark in Munich, Germany. Buses drove around the international hotspots carrying the slogan, “Odisha by Morning, Hockey by Evening”. Like in London and Sydney, the bus is making a 360 degree promotional campaign around Munich and will continue till November end. As Munich winds down its Oktoberfest which is the world’s largest folk fair attracting around six million people to the fest, the Odisha government has the perfect opportunity to promote its tourism. With its numerous beaches, natural forests and historic architectural marvels such as Konark Sun Temple and the Dhauli Shanti Stupa, Odisha has a tonne of tourism potential and has already made its mark as a well-known destination and the government is working on making the best out of the reputation. In a conversation with Media India Group, Odisha based travel operator, Biplab Dash said, “The Hockey World Cup is going to attract a lot of international tourists from Australia, Germany, Canada, etc. When they come here, they can not only enjoy the exhilarating hockey but also the other various winter activities that the state has to offer”. The promotional road campaign also has 17 stops across India, including the six metropolitan cities of New Delhi, Mumbai, Chennai, Kolkata, Bengaluru and Hyderabad. Ahead of the Men’s Hockey World Cup, Odisha Tourism has launched special tour packages for visitors. The tourism department will facilitate visits to tourist spots in and around the state capital under these packages. The Mysore Palace is the official residence of the Wodeyar dynasty and the seat of the erstwhile Mysore kingdom. Media India Group is a global platform founded in 2004, based in Europe and India, encompassing publishing, communication, consultation services and event management.